Flat pillows can be uncomfortable and unattractive. 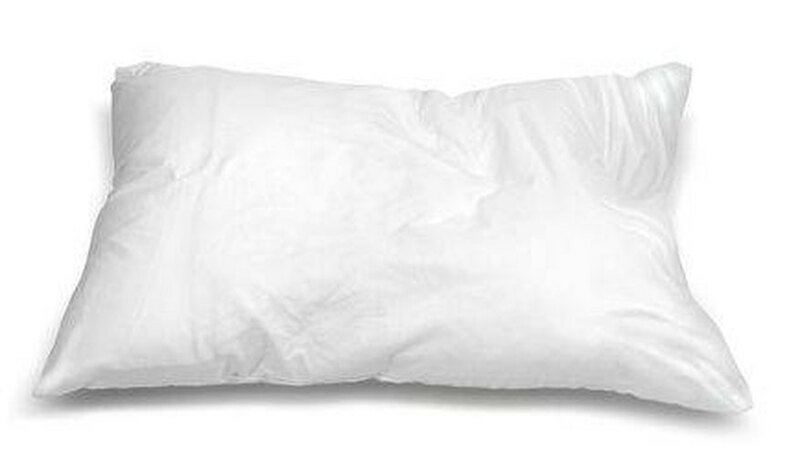 Pillows made from any type of fiber can successfully be fluffed to make them loftier and lighter. You can extend the life of your pillows by fluffing them; this will help to keep the pillow fibers from matting and becoming compacted within the pillow form. Remove any outer coverings from the pillows and make sure that the pillows are completely enclosed (zippers zipped). Place two pillows into the dryer and add two tennis balls to the dryer. Set the dryer to the air cycle (no heat) and the dryer timer to 15 minutes. Allow the dryer to fluff the pillow for the set time. Remove the pillows promptly when the time is finished. Repeat with all pillows that need fluffing. Fluff and plump bedding and decorator pillows by hand often. To do so, simply hold the pillow and pull apart the filling inside until the pillow is plumper. Bedding pillows should be plumped each time you make the bed and decorator pillows can be plumped as you straighten the couch cushions when tidying up a room. This daily plumping will help to keep the fibers from compacting so quickly. Fluff pillows at least twice a year and more as necessary. Pillows filled with both natural and synthetic fibers can successfully be fluffed with this technique.